Most text books teach that, in its early life, the Earth was a hot molten mass formed as a result of the Big Bang billions of years ago. According to this theory, the Earth slowly cooled down over millions of years, leaving a hot molten central core, with the cooled Earth’s crust. According to Holt Earth Science, “As Earth formed, its surface was similar to the surface of the moon today. 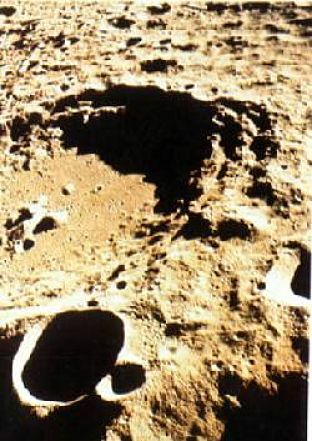 Craters, like those in the picture, and large plains of volcanic basalt may have marked its surface. But unlike its moon, Earth’s surface was hot, and there were large pools of bubbling lava”. 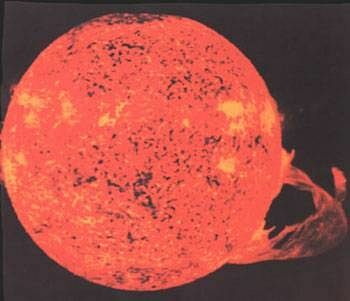 The Bible does not describe the Earth as ever being a hot molten mass! “In the beginning God created the Heavens and the Earth. The Earth was without form, and void; and darkness was on the face of the deep. And the Spirit of God was hovering over the face of the waters”. According to the Bible, the Earth was formed under water, by God, and not as a result of the Big Bang Theory. We therefore have two completely different accounts of the formation of Planet Earth. We suspect that the Bible is the correct version of events. This has in fact been proved by the existence of Polonium Halos found in granite all over the world. 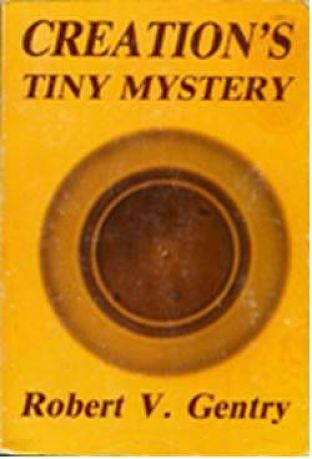 Robert Gentry, whose excellent research may be read at www.halos.com has written a remarkable book, “Creation’s Tiny Mystery”. In the book Robert Gentry describes the results of his studies of samples of granite from all over the world. He discovered that granite contains Polonium Halos. Polonium is one of the many elements that make up the Periodic Table, and the Halos are the result of radioactive decay of this element over a very short period of time. Polonium is a radioactive isotope that decays very rapidly. This is described technically as having a very short half life. – The isotope Po-218 has a half life of 3 minutes. – The isotope Po-214 has a half life of only 0.164 seconds. As Polonium atoms emit radioactive particles, the atoms are surrounded by Halos of radioactive particles. 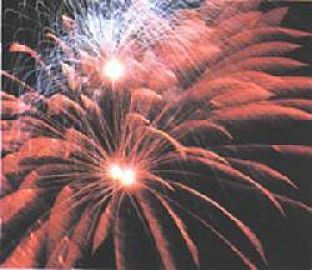 A Polonium Halo may be likened to a firework exploding in the night sky. If the sky is captured in a photograph, such as this one, then the image of the “Firework Halo” can be preserved for posterity. 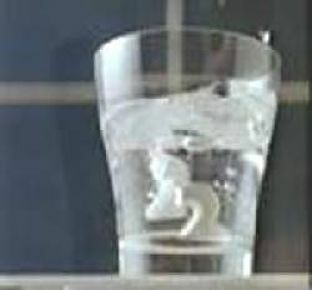 Another example would be an effervescent tablet dissolving in a glass of water. As the effervescent tablet dissolves in the water, the effervescence in the water rapidly disappears. However, if the water was frozen at a very early stage, the effervescence would be visible in the ice. Effervescence observed in ice would be an indication of almost instantaneous freezing of the water. 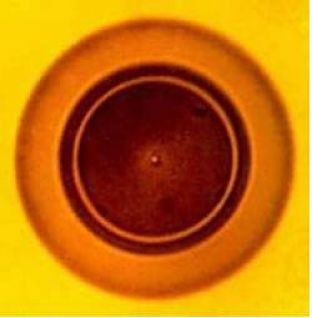 Polonium Halos could have formed only if the rapidly decaying Polonium atoms, and the Halos of radioactive particles around the atoms, had been instantly encased in solid rock, with the emission of radioactive particles preserved as Polonium Halos. These observable Polonium Halos provide undeniable evidence that the first created Polonium atoms were instantly preserved in solid granite, since the half life of Polonium is 3 minutes at most. 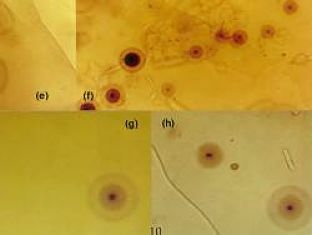 Polonium Halos are found in granite samples all over the world, and may be viewed using a microscope. The occurrence of these Polonium Halos in granite samples from all over the world indicates that the Earth was formed in an extremely short time, in complete harmony with the Biblical record of Creation in Genesis Chapter 1. 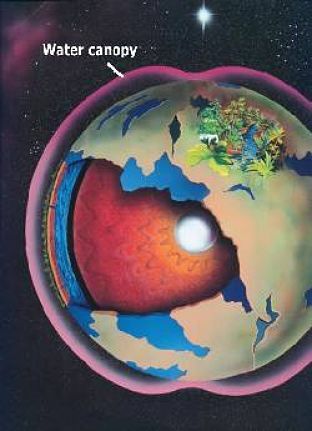 If the Earth was originally a hot molten mass which took millions of years to cool down, the radioactive particles emitted by the rapidly decaying Polonium, and accompanying Polonium Halos, would disappear in the molten lava, in the same way as an effervescent tablet in a glass of water. The existence of Polonium Halos in granite samples from all over the world therefore completely disproves the Big Bang Theory. Dr Richard Kent is a retired medical doctor. He is an expert on the subject of near death experiences. What Does God think about Abortion? Would You Like to Go to Heaven when You Die? It is NOT true that all scientists believe in Evolution.